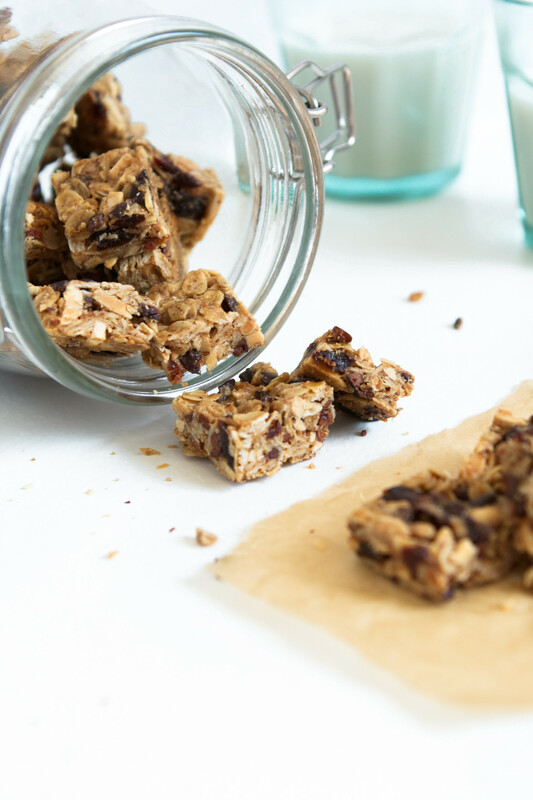 These crunchy bites are packed with flavor from toasted almonds & oats, chewy dried cherries, and crunchy cocoa nibs. 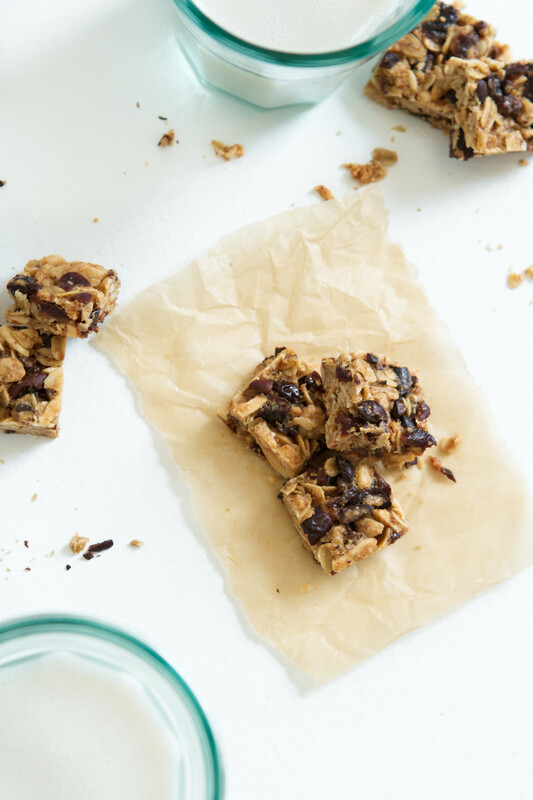 Whether you’re in need of a snack or a dessert, these bites will satisfy. When it comes to dessert I’m more of a “keep it simple” kind of person. Vanilla ice cream goes a long way in my book, as does a really well made brownie. So if you’d ask me to choose between cake with frosting or no dessert at all, I’ll probably skip it. Cake just doesn’t do much for me — give me a bag of salty chips or a bowl of popcorn any day and I’ll be much happier. This month’s Recipe ReDux theme is “small bite desserts” and I wasn’t feeling inspired to make mini shortcakes or tarts. 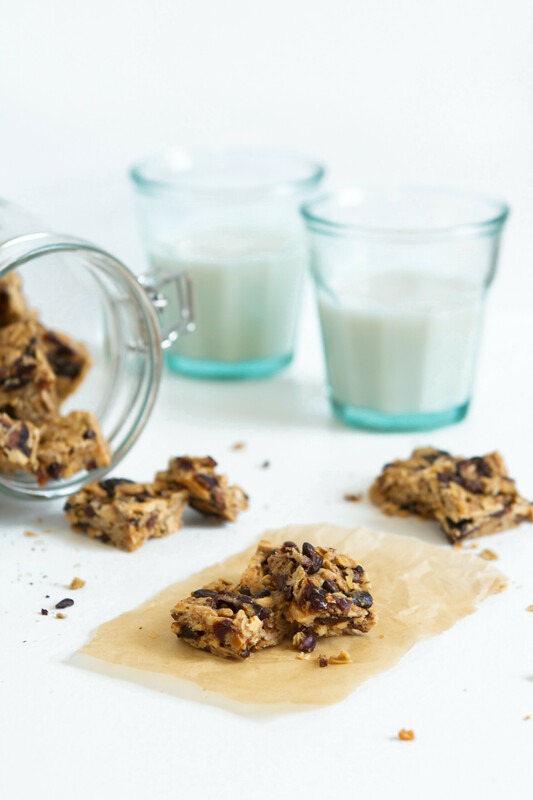 My late night snacks often resemble popcorn or Chex cereal with a handful of chocolate chips (boring, I know). 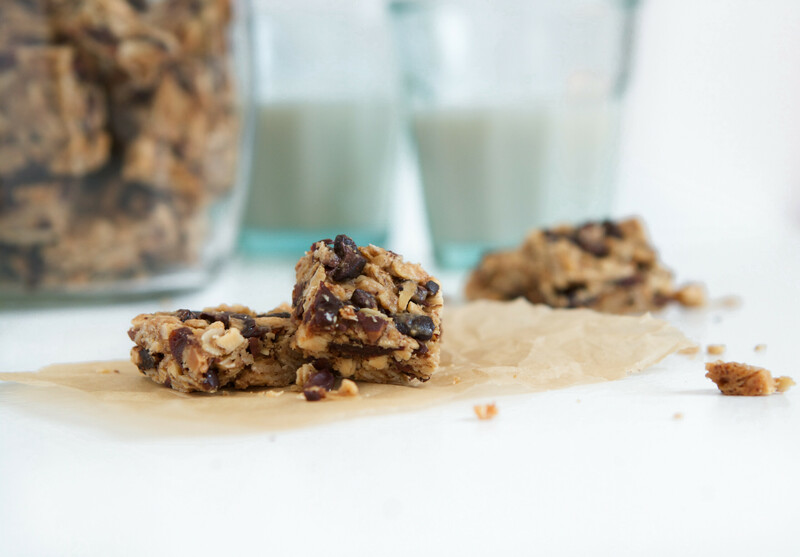 I wanted to develop something that I would enjoy as an evening snack or dessert and these crunchy granola bites act as both. I’m currently enjoying a few as Indy (our German Shepard) runs around throwing his slobbery kong in my lap. Not appetizing at all, neither are the tumbleweeds of hair that blow around the floors every time the air kicks on. Someone please send help for all of the dog hair currently in my life. It’s overwhelming. On another, more positive note, I read this article from Saveur today about a new travel magazine called Fare which Saveur explained as “unapologetically nerdy”. But it’s also so much more. Granted, I haven’t gotten my hands on a copy (yet), but from the sounds of it, it’s redefining what it means to be a “travel” magazine. Each issue is devoted to one city where the founder, Ben Mervis, immerses himself in the culture of the country creating a complete guide, or should I say, snapshot of the city through reporting, interviews, and essays carried out by locals. And culture is nothing without food, so you can understand my interest. Needless to say I’m like a giddy school kid waiting for the last bell to ring. I can’t wait to get my hands on the first issue which sets its sights on Istanbul. Heat oven to 350°. 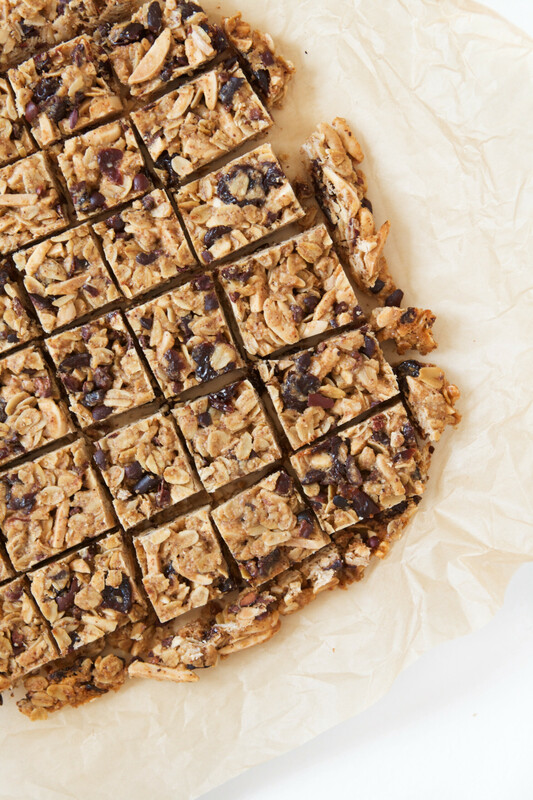 Combine oats and almonds on a rimmed baking sheet and spread into an even layer. Bake until lightly toasted and fragrant, 10 minutes. 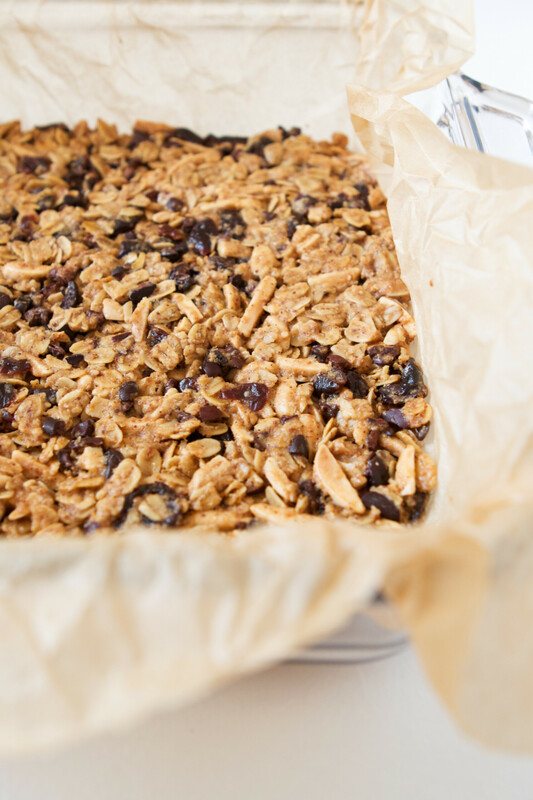 Reduce oven 325° and line an 8×8-inch glass baking dish with parchment paper. 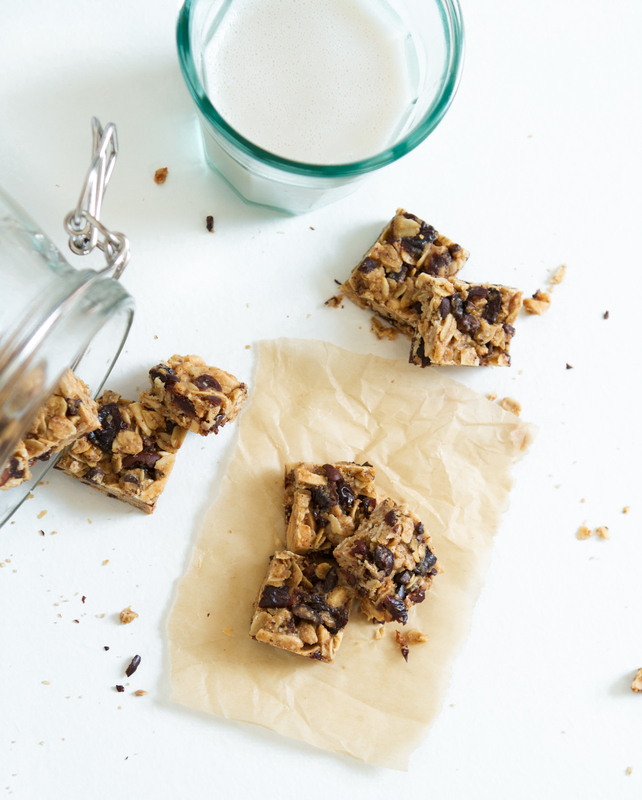 Combine toasted oats and almonds with cherries, flaxseed meal, cocoa nibs, and coconut sugar in a bowl. Combine maple syrup, almond butter, coconut oil, and salt in saucepan over medium heat, bring to a simmer then remove from heat and stir in almond extract. 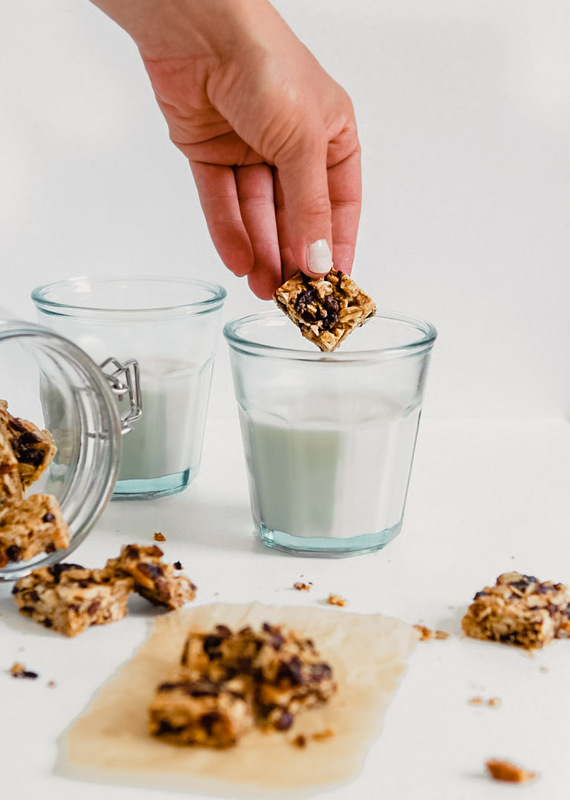 Add maple syrup mixture to oat mixture and stir to thoroughly combine; transfer to prepared pan and press into an even layer using the back of a measuring cup. 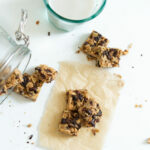 Bake granola bar for 27–30 minutes (for a chewier bite, air on the shorter end of baking, for a crunchier bite, bake on the longer end) or until the edges are golden brown. Remove from oven and cool completely in pan. Lift bar out of pan, trim edges, and cut into bite-sized pieces (about 30), or preferred size. 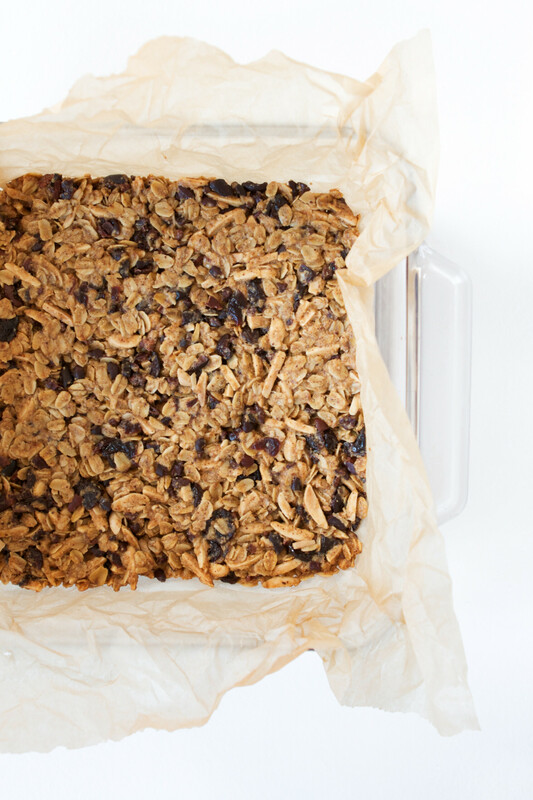 Store granola bites in an airtight container at room temperature for up to a week or freeze for up to 1 month. My taste tester (Greg) wanted these bites to be a bit sweeter after my first recipe test. 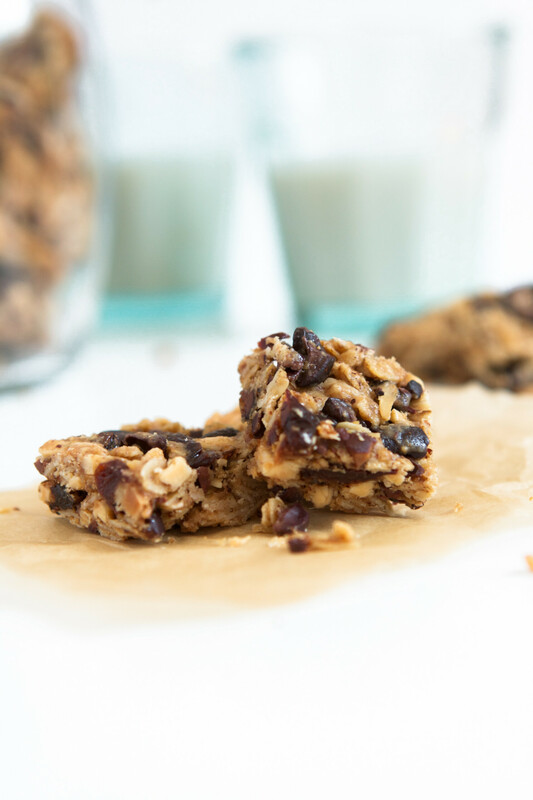 Although I wasn’t opposed to making them sweeter these bites are tasty without the 2 tablespoons coconut sugar as well (for those of us who like to watch our sugar intake). 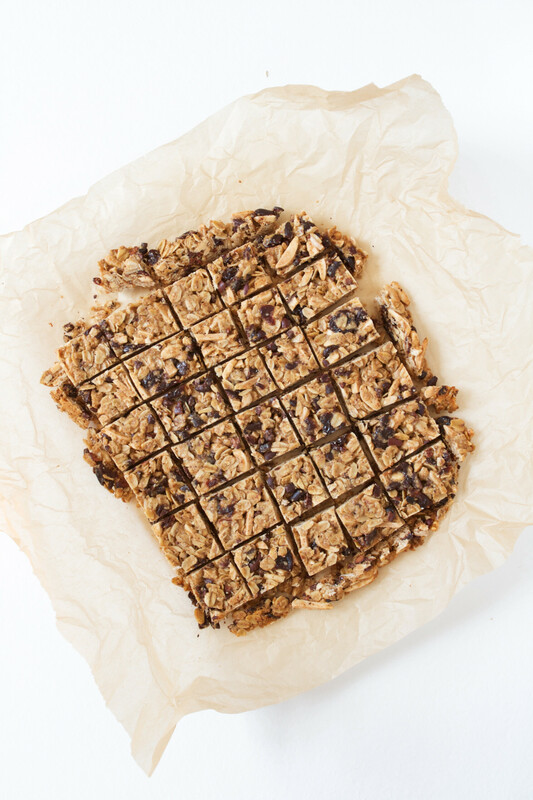 If you decide to skip the 2 tablespoons coconut sugar, bake the granola bars 3 or so minutes less. 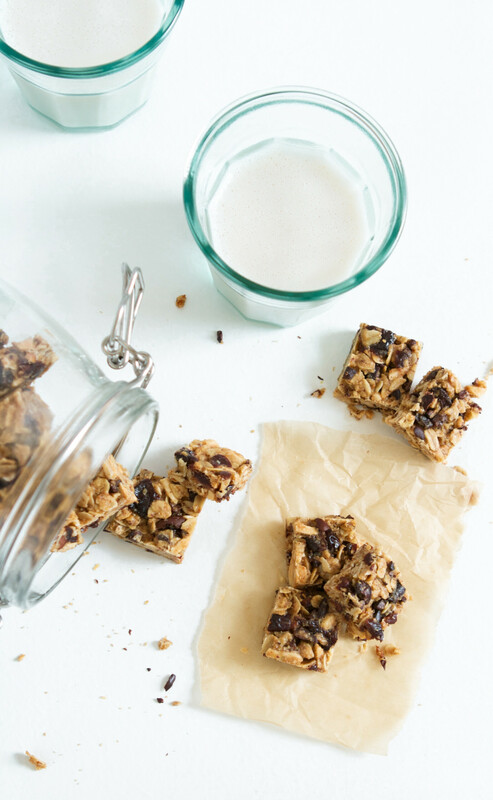 Looks like a great snack or grab & go breakfast! Digging it!!!! Thanks Mandy! I’ve been loving how convenient they are too! So many great flavors together!